The second installment in Kristen Simmon's fast-paced, gripping YA dystopian series. After faking their deaths to escape from prison, Ember and Chase Jennings have only one goal: to lay low until the Federal Bureau of Reformation forgets they ever existed. Orders are shoot to kill, and soldiers are cleared to fire on suspicion alone. Suddenly Ember can't even step onto the street without fear of being recognized, and "laying low" is a joke. Even members of the Resistance are starting to look at her sideways. As is evident by my overly fan-girlish review of Article 5, I was already a huge fan of this story before getting my hands on the sequel. It's fair to say that I had some pretty high expectations (if by high you mean skyscraper tall). Honestly, it isn't fair of me to begin a book with feelings like that, but it happens. Thankfully, Breaking Point isn't one of those sequels that flops after the success of the first book. While I didn't adore it like I did the first book, I was happy to see that Simmons has big plans for this intense series. While the first book centers mostly around Ember and Chase (their escape, their personalities, their love), Breaking Point looks at a bigger picture. The Resistance is a movement that spans across their country, and as the two main characters grow in infamy, they become more and more involved in the illegal activity. Reminiscent of The Hunger Games, this revolution is bound to get readers' hearts pumping. Even though I missed the romance from the first book quite a bit, I couldn't help but immerse myself in their war. But seriously, I did miss the romance. Where was the passionate relationship I remember from the first book? I have to admit, I didn't admire Ember as much as I did in the first book. Sure, she's as strong and defiant as every, but sometimes I just got so frustrated with her. If Chase tells you it's too dangerous, it probably is. Just stop ignoring everyone's advice and actually think about things before you throw yourself into potentially fatal situations. Sheesh. Still, I have to give her some credit, seeing as she's been through more than most. The ending is action-packed. 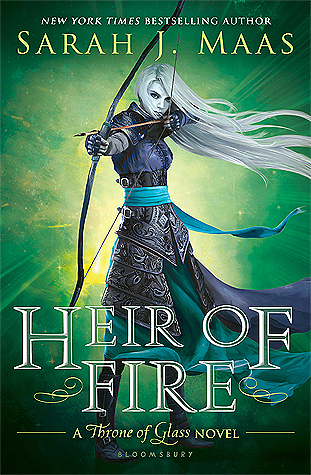 Ember has morphed into a tough heroine, and even if I don't always agree with her, she's pretty awesome. I can't wait to see what the next book holds, for the story and the characters. 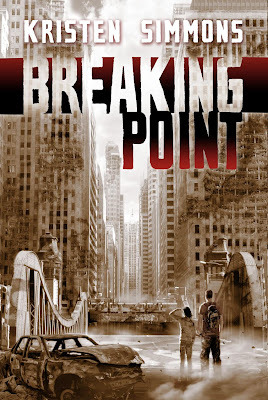 Overall, I'd say Breaking Point is a successful sequel to one of my favorite books. I have high hopes for the rest of the series, and I can't wait to follow this story in years to come. If you haven't checked these books out, I highly recommend that you do!